Mystery Lovers Book Finder: Stop, you’re killing me! 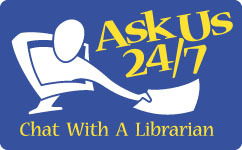 If you need help with eBooks or eAudiobooks for please click here for our guide. The guide covers eBooks on Kindle, Nook, Sony Reader, Kobo and other eReaders, eAudiobooks for Nook, Sony Reader, Libre Touch, Next2, MP3 players, WMA players, and Tablet & Smartphone eBooks & MP3 eAudiobooks for Apple iOS, Android, BlackBerry, and Windows Phone 7.